Take a journey, but remember to bring your heart and mind along. Today’s ever-connected world can leave us actually disconnected from the things that matter most, and can take us away from being present to the miracles all around us. It’s one reason we love journal keeping so much. Journals provide the opportunity to reflect upon the day in a very organic way. There’s no post or submit button. What’s on the page is what you’ve written with your own hand, and there’s something very personal about that. Whether trekking through the Himalayas or adventuring closer to home, may your journeys bring you joy, wisdom, and meaning. 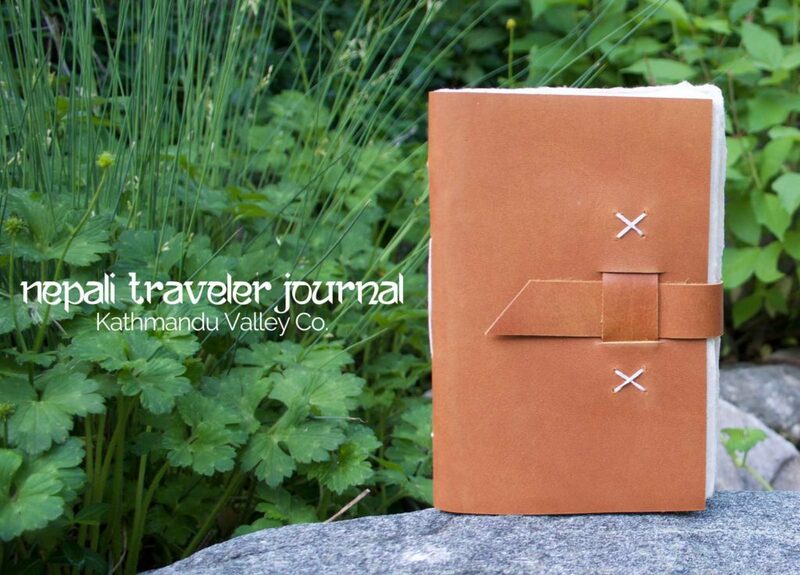 Nepali Traveler Leather Journal featured above, Handmade in Nepal with non-tree Lokta paper.